I get regular emails and comments wondering what camera equipment I use to take the photos found on this blog. I’m finally getting around to putting together a page that profiles my equipment. My camera body is a Canon Digital Rebel XTi. I bought my first digital camera in 2003, a little 1.3 megapixel Kodak, which met its demise in a puddle. 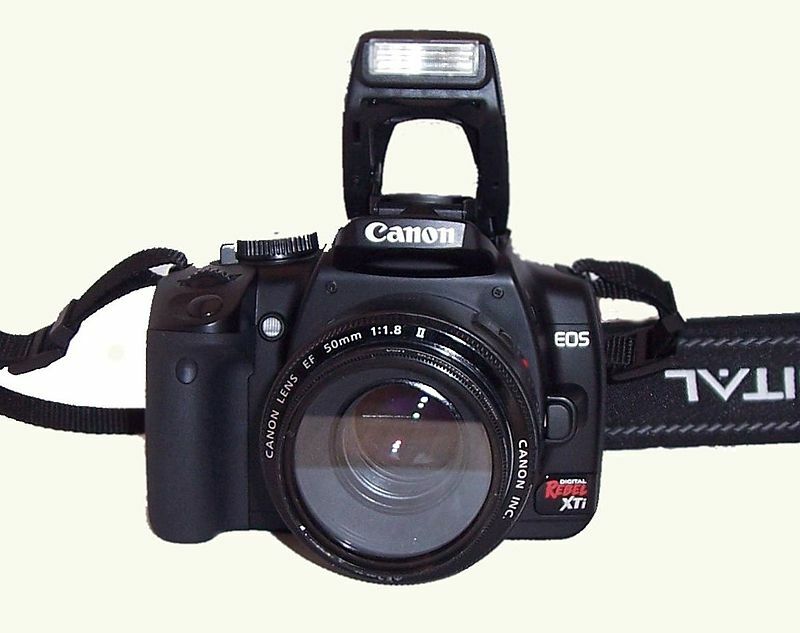 It was replaced by a 2.0 megapixel Canon A-series. I loved the little camera, and I’ve stuck with the Canon brand since. A 3.2 megapixel A-series followed, before I finally decided it was time to treat myself to a “real” camera, a DSLR, in 2007. Of course I went with Canon. I bought the best one I could afford, the XTi. These days I have gadget lust for the Rebel T-series, which also do HD video. The XTi has done well by me, seeing me through tens of thousands of exposures over the years I’ve had it. I have no regrets with this purchase. I have three lenses that I use with the camera. Two of them came with the body as part of a promotional kit: a 18-55mm zoom wide-angle and a 75-300mm zoom telephoto. Both are relatively inexpensive entry-level Canon lenses, though my judgment from two years of use is the wide-angle is of slightly better quality than the telephoto. My third lens was a birthday present I bought myself in 2008, after a year of trying to photograph insects using standard lenses. I finally decided it was time to invest in a proper macro lens, and after a bit of research settled on the Canon EF 100mm f/2.8 Macro. 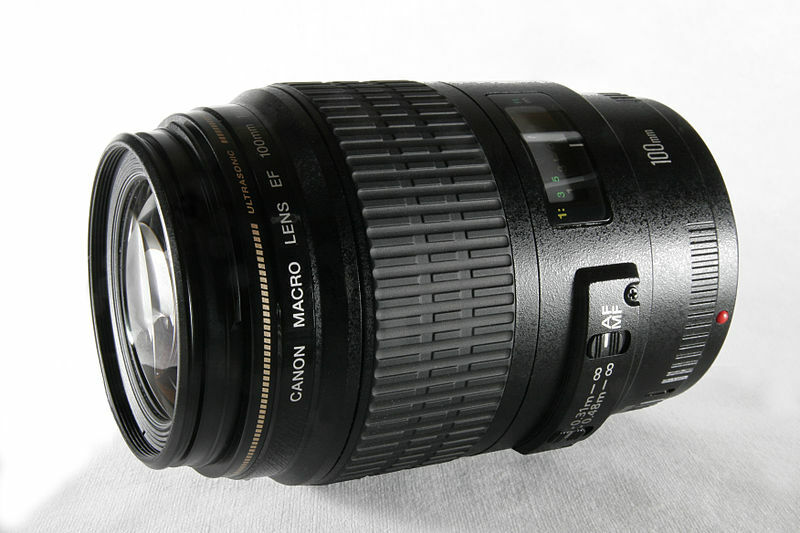 This lens has some of the best reviews on the web for a 1:1 magnification lens (that is, a lens that creates an image on the sensor that is the same size as the object itself; the actual size the object is in the frame depends on the size of your sensor). Many macro lenses are 1:2, achieving only half of this magnification. The Canon MP-E 65mm 1-5x Macro was my first choice (if you want to know why, check out the photos on Myrmecos Blog), but out of my budget at the time I was buying (still out of my budget, come to that). The 100mm can also be used as a portrait lens (or general photography lens of moderate magnification) which makes it fairly versatile for everything but landscapes. I don’t have much in the way of accessories. I don’t have any filters or external flashes. I did invest in a remote shutter release, and I can’t tell you how often I’ve used that for slow-shutter-speed situations; it makes all the difference in the world. I also have a tripod, which gets used from time to time, mostly for when I’m photographing moths (along with the remote, because of the slow shutter associated with the smaller aperture necessary to get the whole moth in focus). My little Rebel is starting to show its age; I’ve lost the viewfinder padding, the finish is rubbing off where I hold it, the sensor needs a good cleaning, and every now and then it overexposes a frame. But it’s still clicking away faithfully, and I expect I’ll still be using it even a year or two from now. In the first year I had my new camera, I used it almost exclusively on [Auto] mode. For my birthday a year after I bought it, a friend gave me The Digital Photography Book by Scott Kelby. This is a fabulous little book, short and easy to read, but packed with extremely useful information. It was in reading this book that I finally had an “Aha!” moment on how to use my camera. All those extra functions that I’d had no idea how to work or when to use suddenly made sense. Now I almost never use [Auto] mode. This book is worth every penny of the $16 to buy it. What you learn from it will make your photos instantly better. And no, I’m not affiliated with the author or publisher. It’s just that good.